L to R: Silvia Costantini, Guillermo Bruschtein and Mons Corrado Lorefice. In the end, he was not able to hold his tears. 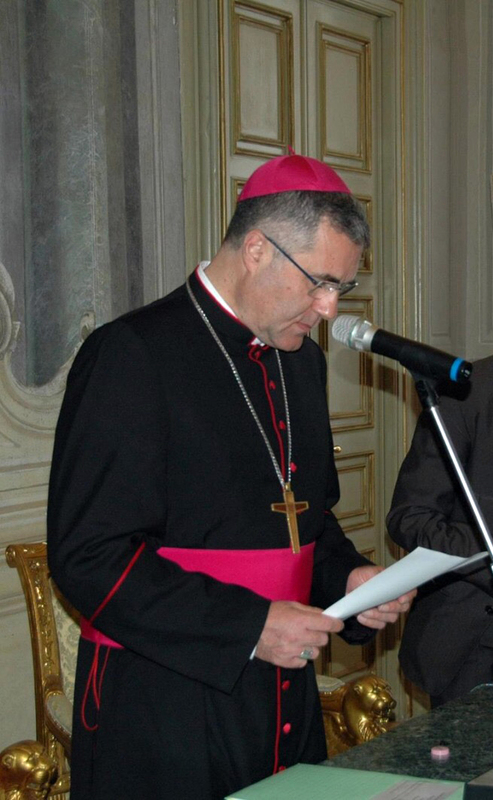 The archbishop of Palermo failed to repress the emotion when receiving the Medal of the International Raoul Wallenberg Foundation, for the return of the synagogue that was expropriated 524 years ago to the Jewish Palermitan community. 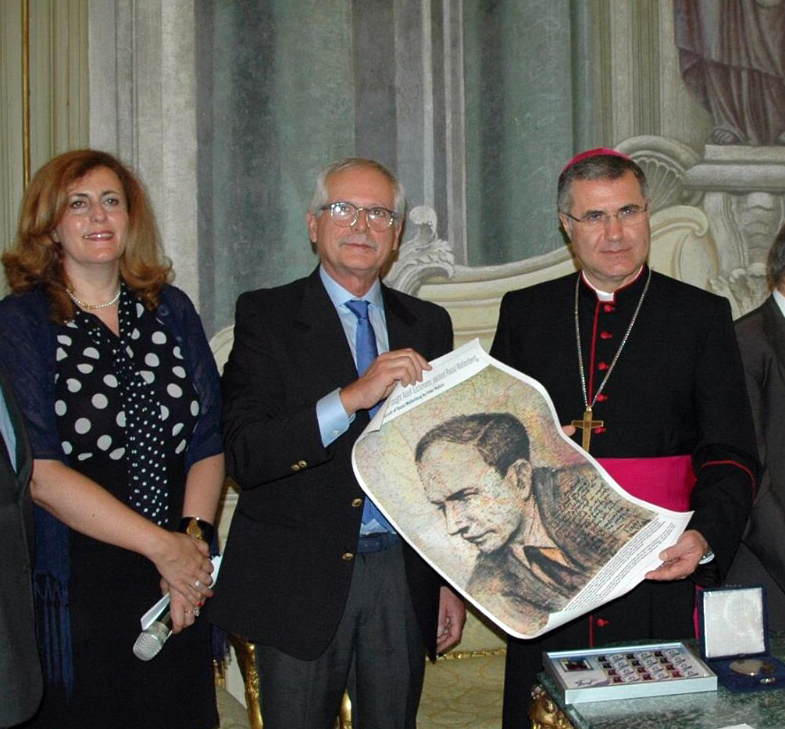 “I stand before you as one who, along with a medal, also receives from you a heartfelt friendship which also reaches the hearts of the Christians of Palermo,” confessed Monsignor Corrado Lorefice during the ceremony, which took place on 29 June. The celebration became a historic moment for Sicily. 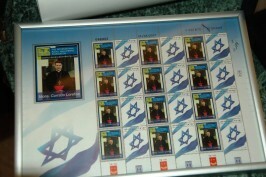 This unprecedented gesture brought together representatives of all religions present on the island. Particularly appreciated was the presence of several Muslim religious leaders from the Sicilian capital, who wanted to witness the importance of this gesture of reconciliation for all of society. The profound impact of this recognition in Palermitan society can also be understood because of the presence of the mayor of the city in the event, Leoluca Orlando, a prominent figure in the fight against the Mafia. Lorefice was moved to tears while reading his speech. The emotion of the Jewish community, which sees in this gesture a way of alleviating the injustice suffered in 1493 when its members were expelled from the island by order of the Catholic king Ferdinand of Aragon, was manifested by Giulio Di Segni, vice president of the Union of Italian Jewish Communities, Rabbi Pierpaolo Pinhas Punturello, representative for Italy of the organization Shavei Israel, as well as by the State of Israel, who sent a message signed by the ambassador to the Holy See, Oren David. Christians from other communities also wanted to witness with their presence the prophetic nature of this initiative — particularly the Evangelical Church, which was represented by Pastor Peter Ciaccio. 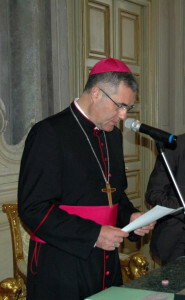 Rabbi Pierpaolo Pinhas Punturello stressed that “a Jew should always know how to recognize the good,” describing this gesture as a “historic” act, such as those Monsignor Lorefice has had with the Jewish community. The Raoul Wallenberg International Foundation aims to “recognize the good,” preserving the heroic heritage of the Swedish diplomat the Foundation takes its name from, as well as the people who have risked their lives to save those who are persecuted. 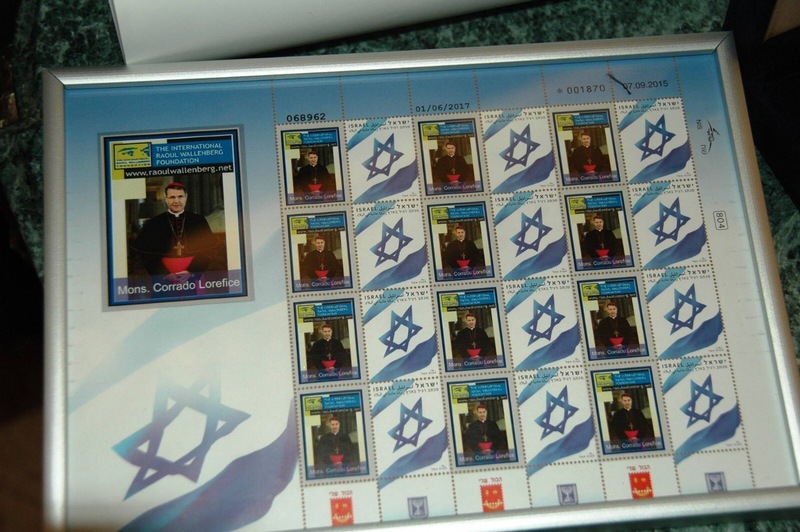 On the occasion of the delivery of the medal, stamps honoring this gesture of reconciliation bearing the image of Monsignor Lorefice have been issued by the State of Israel. It is the first time that the Foundation has given this medal to a Catholic religious leader. Now, the Oratory of St. Mary of the Sabbath, built on the site of the great synagogue of Palermo, is in restoration to be able to welcome all visitors who want to discover the richness of Jewish culture. The gesture, in fact, appeals to Christian communities in other countries where Jews were expelled and their places of worship confiscated.